I conclude this chapter with a discussion of the use of interest-rate derivatives in nonagency MBS products to hedge interest-rate risk. The three types of interest-rate derivatives used in recent mortgage securitizations have been interest-rate swaps, interest-rate caps, and interest-rate corridors. These derivatives are over-the-counter or dealer products, not exchange-traded products. As a result, they expose the trust to counterparty risk. Permitted Assets The Amendment permits an interest-rate swap to be an asset of a trust which issues Certificates acquired by Plans in an initial offering or in the secondary market on or after November 13, 2000 and clarifies the requirements regarding yield supplement agreements. An interest-rate swap or (if purchased by or on behalf of the trust) an interest-rate cap contract (collectively, a "Swap" or "Swap Agreement") is a permitted trust asset if it: (a) is an "eligible Swap"; (b) is with an "eligible counterparty"; (c) is held by a trust whose Certificates are purchased by a "qualified plan investor"; (d) meets certain additional specific conditions which depend on whether the Swap is a "ratings dependent Swap" or a "non-ratings-dependent Swap" and (e) permits the trust to make termination payments to the Swap (other than currently scheduled payments) solely from excess spread or amounts otherwise payable to the servicer or seller. The prospectus supplement then defines eligible swap, eligible counterparty; qualified plan investor; ratings-dependent swap, and a non-ratings-dependent swap. to provide protection against interest rate changes, certain type of losses, including reduced market value, or other payment shortfalls to one or more classes of the related series. In an interest-rate swap, the counterparties agree to exchange periodic interest payments. The dollar amount of the interest payments exchanged is based on some predetermined dollar principal, which is called the notional amount, notional principal, or notional principal amount. The dollar amount a party pays to the other party is the agreed-on periodic interest rate times the notional amount. The only dollars that are exchanged between the parties are the interest payments, not the notional amount. Accordingly, the notional principal serves only as a scale factor to translate an interest rate into a cash flow. In the most common type of swap, one party agrees to pay the other party fixed interest payments on designated dates for the life of the contract. This party is called the fixed-rate payer. The other party, who agrees to make interest-rate payments that float with some reference rate, is called the floating-rate payer. In MBS transactions, the trust is usually the fixed-rate payer, and a third party (typically a rated affiliate of the underwriter or other bank) is usually the floating-rate payer. The reference rates that have been used for the floating rate in an interest-rate swap are various money market rates: Treasury bill rate, the London Interbank Offering Rate, commercial paper rate, bankers acceptances rate, certificates of deposit rate, the federal funds rate, and the prime rate. The most common reference rate in swaps used for nonagency MBS products is the London Interbank Offered Rate (LIBOR). LIBOR is the rate at which prime banks offer to pay on Eurodollar deposits available to other prime banks for a given maturity. There is not just one rate but a rate for different maturities. For example, there is a one-month LIBOR, a three-month LIBOR, and a six-month LIBOR. Since the liabilities for MBS transactions are generally based on one-month LIBOR, the hedging instruments typically are based on the same index. In general, a swap can be used to alter the cash-flow characteristics of the assets (liabilities) to match the characteristics of the liabilities (assets). For example, suppose that a pool of mortgage loans has a fixed rate, but the bond classes that are supported by the collateral are floating rate. A swap can be used to convert the fixed-rate cash flows to floating-rate cash flows. The swap I have described thus far is a "plain vanilla" or generic swap. The swap market is very flexible, and instruments can be tailor-made to fit the requirements of issuers who want to use them for hedging the interest-rate risk in transactions. The most common nongeneric swap type used in nonagency MBS products is the amortizing swap. In a "plain vanilla" swap, the notional amount remains unchanged during the life of the swap. An amortizing swap is a swap in which the notional amount declines over time based on a predetermined schedule. The reason that this type of swap is used when the collateral is a pool of mortgage loans is that the loan pool amortizes over time. Hence the notional amount for a swap when a hedge is initially placed will be overhedged as the pool pays down. In practice, when an amortizing swap is used as a hedging instrument, the issuer will construct the notional amount schedule based on amortization and expected prepayments. An interest-rate cap can be used to hedge against a rise in interest rates. The buyer of the cap pays the seller of the cap an upfront fee for this right at closing. The elements of an interest-rate cap are (1) the reference rate, (2) the strike rate, (3) the length of the agreement, (4) the frequency with which payments are exchanged, and (5) the notional amount. At a settlement date of a cap, the seller of the cap must pay the buyer if the reference rate exceeds the strike rate. The amount of the payment is the difference between the two rates multiplied by the notional amount. If the reference rate is less than the strike rate, then for that settlement date, no funds are exchanged. An interest-rate corridor is an interest-rate cap where the liability of the seller is limited to a specified maximum rate (ceiling). For example, the strike rate may be 3%, and the ceiling may be 6%. If the reference rate is 1%, no funds are exchanged. If the reference rate is 5%, the seller owes the buyer (5% - 3%) multiplied by the notional amount. If the reference rate exceeds the ceiling, the seller owes the buyer (6% - 3%) multiplied by the notional amount. As with an interest-rate cap, the seller is compensated via a single upfront fee. In nonagency MBS products, interest-rate derivatives are used to hedge against interest-rate scenarios where the benchmark index for the liabilities rises significantly more quickly than the asset benchmark index. This mismatch in indices is called basis risk. In most MBS transactions, the trust's interest liability to bondholders is limited to the amount of interest generated by the collateral (the "available funds cap"). This basis-risk shortfall is a risk to investors and can be mitigated by incorporating interest-rate derivatives into MBS transactions. Proceeds are directed to these purposes in the waterfall and can be prioritized in any order. It is important to understand the use of the proceeds when analyzing the impact of the derivative on bond cash flows. The use of derivative instruments introduces counterparty risk for the trust. The risk of counterparty default can be controlled only by entering into swaps with highly rated counterparties and using commonly developed methods in the derivatives market for doing so (e.g., margin, netting, and overcollateralization). Swap Agreement with an eligible counterparty which is acceptable to the Rating Agency and the terms of which are substantially the same as the current Swap Agreement (at which time the earlier Swap Agreement must terminate); or (b) cause the Swap counterparty to establish any collateralization or other arrangement satisfactory to the Rating Agency such that the then current rating by the Rating Agency of the particular class of securities will not be withdrawn or reduced (and the terms of the Swap Agreement must specifically obligate the counterparty to perform these duties for any class of securities with a term of more than one year). "Non-ratings-dependent Swaps" (those where the rating of the securities does not depend on the terms and conditions of the Swap) are subject to the following conditions. If the credit rating of the counterparty is withdrawn or reduced below the lowest level permitted above, the servicer will, within a specified period after such rating withdrawal or reduction: (a) obtain a replacement Swap Agreement with an eligible counterparty, the terms of which are substantially the same as the current Swap Agreement (at which time the earlier Swap Agreement must terminate); (b) cause the counterparty to post collateral with the trust in an amount equal to all payments owed by the counterparty if the Swap transaction were terminated; or (c) terminate the Swap Agreement in accordance with its terms. 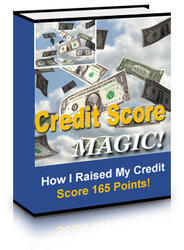 The Shocking True Story of How I Raised My Credit Score 165 Points in 3 Months and Saved $1,000’sIn Interest. First off I’d like to say I am not a lawyer and this is by no means legal advice. Before implementing the ideas in this report consult with a qualified attorney. 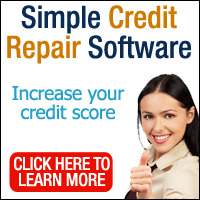 This is simply my story on the tactics I used to legally and ethically raise my credit score. What is a derivative rate on a mortgage? Is a cmbs a derivative instrument? Is notional amount on mortgage the same as principal amount? What is a mortgage interest rate cap? What are the most common derivatives products on mortgage backed securities? What is a cap contract rmbs interest derivative? What is proceeds from interest rate derivative instrument?